This week, The Cruise Examiner reports on a two-day Cruiseco UK conference held on board Celebrity Cruises’ 2,750-berth Celebrity Eclipse this weekend. In a day full of news, announcement was made yesterday of the first Cruiseco UK “Rock the Boat” cruise for September 2016, UK representation for P&O Cruises Australia, and a multi-million dollar exclusive charter of Royal Caribbean’s 4,180-berth Ovation of the Seas from Singapore to Sydney in November 2016. For the first time since entering the UK market, Australia-based retail cruise consortium Cruiseco has held a conference at sea. Boarding the Celebrity Eclipse in Oslo, Cruiseco UK delegates cruised to Southampton over the weekend, where the ship boarded almost 3,000 passengers today for an exclusive 6-night Cruiseco charter to Cherbourg, Le Havre and Zeebrugge. Cruiseco delegates were brought up to date and advised of breaking news including Cruiseco’s first 3-night UK Rock the Boat cruise, to be held on board Celebrity Eclipse departing Southampton on September 30, 2016. 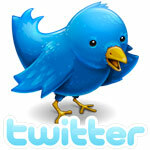 Such cruises can be only be booked through Cruiseco UK members. In addition, delegates were advise that Cruiseco has been appointed exclusive UK agent for P&O Cruises’ five-ship fleet, with a capacity for almost 8,000 passengers. In addition to the three newbuildings that were acquired by Princess Cruises in its 1988 acquisition of Sitmar Cruises, P&O Cruises Australia will soon add Holland America’s 1,260-berth Ryndam and Statendam to its Down Under fleet as Pacific Aria and Pacific Eden. Finally, Cruiseco confirmed an exclusive 15-night charter of Royal Caribbean International’s 4,180-berth Ovation of the Seas, to depart Singapore November 30, 2016, on her way to Sydney to become the largest ship ever introduced to the Australian market. Cruiseco first entered the UK market about two years ago and now has about seventy locations in the UK in addition to its 239 Australian members. 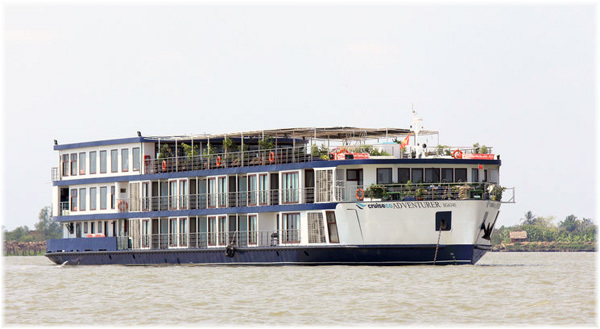 Cruiseco offers a wide range of worldwide cruise holidays from over fifty different cruise line products and also operates two of its own vessels: the Cruiseco Adventurer, sailing between Ho Chi Minh City and Siem Reap, and Cruiseco Explorer, operating on the waters of the Irrawaddy, Upper Irrawaddy and Chindwin Rivers. After five successful years’ operating in Australia, Cruiseco is introducing its “Rock the Boat” cruises to the UK, with a 3-night 2016 departure from Southampton to Zeebrugge and Cherbourg. Cruiseco has carried about 33,000 passengers on music cruises from Australia over the past five years and will now bring the concept to the UK. Sailing from Southampton on September 30, 2016, this cruise will start at £550 per person including gratuities and port charges. Further details of this cruise are available at www.rocktheboatcruise.co.uk. During the Cruiseco conference, announcement was also made that effective immediately, Cruiseco UK would be appointed as exclusive UK agents for P&O Cruises Australia, a division of Holland America Line Group. 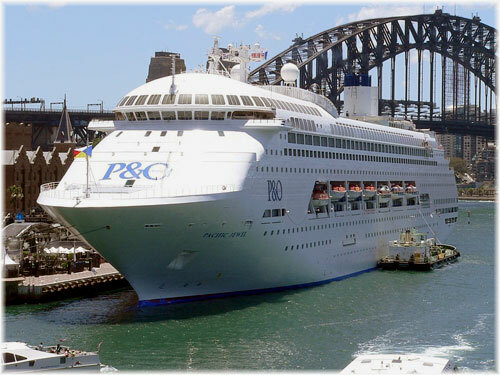 P&O Australia operate the 1,900-berth Pacific Dawn and Pacific Jewel and the 1,578-berth Pacific Pearl, all three originally ordered by Sitmar Cruises just before that company was bought out by Princess Cruises in 1988. To this trio will soon be added the 1,260-berth Pacific Aria and Pacific Eden, which until now have been trading as Holland America Line’s Ryndam and Statendam. P&O Cruises Australia serves twenty-six ports in Australia, nine in New Zealand, seventeen in the Pacific and twenty-six in Asia on cruises lasting from two to eighteen days. 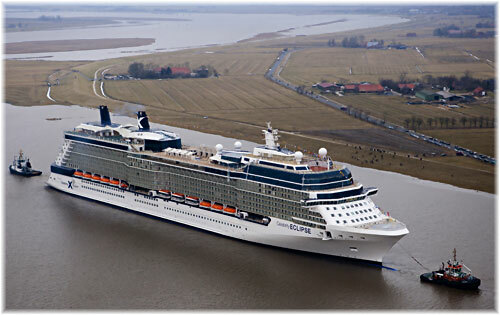 Embarkation ports include Singapore, Fremantle, Cairns, Sydney, Brisbane, Melbourne and Auckland. Finally, as announced in Australia last month, Cruiseco has taken an exclusive charter on Royal Caribbean International’s latest Quantum class ship, the 4,180-ton Ovation of the Seas, for a 15-night voyage from Singapore to Sydney. This voyage will mark her delivery as the largest ship yet to serve the Australian cruise market, which now numbers close to a million passengers. “We are thrilled to be chartering Ovation of the Seas, which will redefine cruising in Australia. Its introduction to our waters is a huge milestone for the booming cruise market and, as Cruiseco celebrates its fifteenth year in operation, we are delighted to be a part of this latest development and the future of cruising,” said chief executive Steve Lloyd. Adding to the attraction of Cruiseco membership, this exclusive charter of Ovation of the Seas can only be booked through Cruiseco member agencies.